Hidden Spire: We present...the poster! 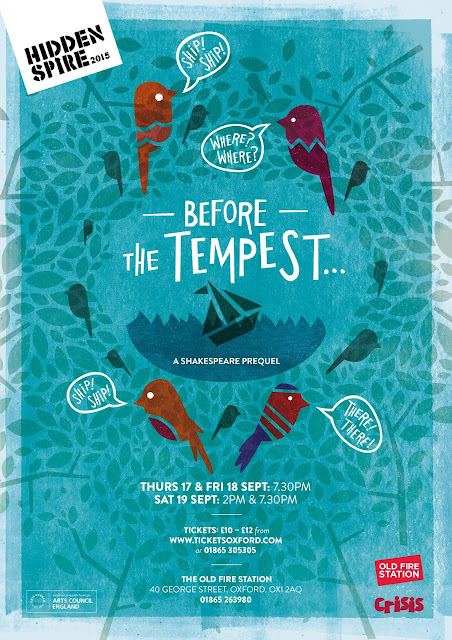 The summer is now in full swing and that means it’s not long until Before the Tempest gets a cast and begins rehearsals - about time for a poster, don't you think? 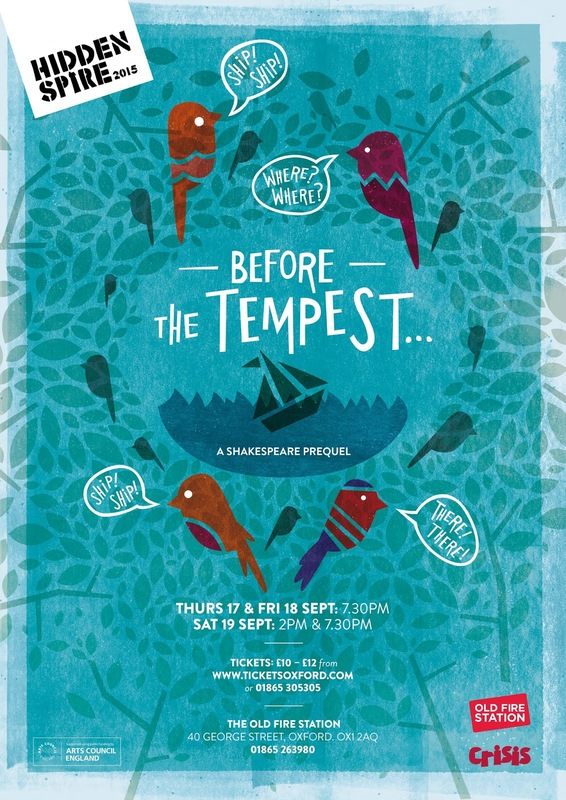 The two main themes coming through are birds, and the sea - and both are important because of their relevance to the play. Throughout the show, a chorus of birds will be onstage: commenting, helping and providing comic relief. The sea itself is almost a character in the play, keeping Miranda on the island and preventing her from exploring the world as she wants to. So, which poster did we choose? The two favourites were no. 1 and no. 5, and choosing between them was difficult. There's something epic about no. 1, and we thought it might give an unrealistic impression of the show - it implies a grand spectacle, where our play will be more fun and quirky. No. 5, with talking birds watching a ship sail in, emerged as the final choice. Nice! We especially like how the 'printed' feel echoes the stencilled look of the Hidden Spire logo. 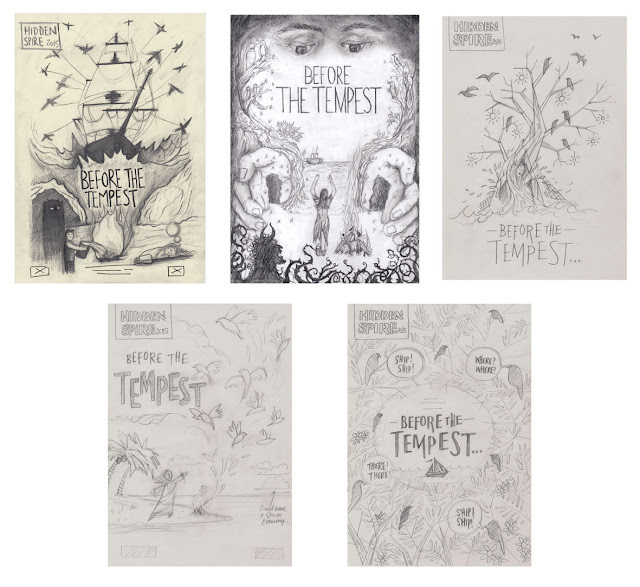 But now that we looked at it again, we realised we'd picked the most child-like design, and we were in danger of making the play look too much like a kids' show. So we asked them to make the birds look a bit more lifelike, to have a few more creepy birds in there, and to make the whole thing look a bit darker - with a few stormclouds and shadows on the horizon. Sadly, we also felt we had to part with the speech bubbles, in order to make the whole thing look a little more grown-up. And here we are - the final version. 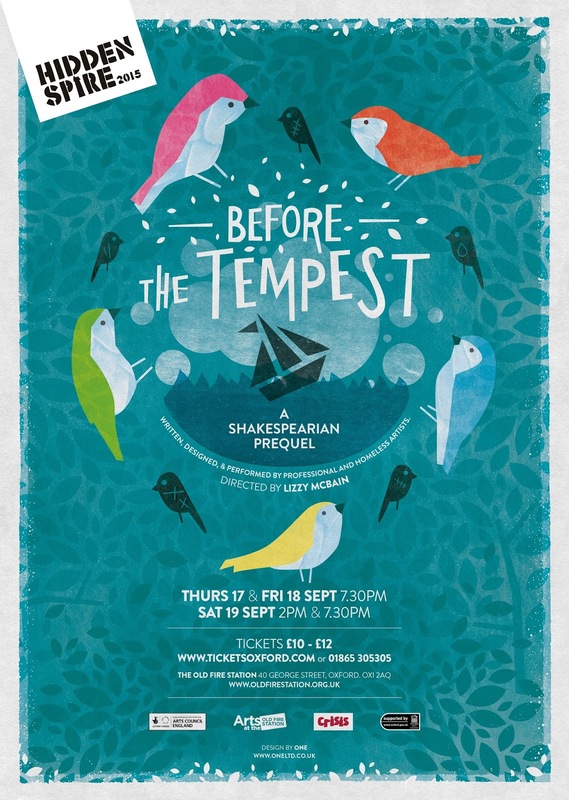 We think it's gorgeous - many thanks to One Ltd for some excellent design.